ASK RALPH: Can I deduct my dental expenses? Question: My dentist just told me that I have to get a root canal and he said the cost would be over $4000. He also mentioned that since I don't have dental insurance I should check with my accountant and see if the dental expenses are tax deductible. Please help me so I can figure our if these dental expenses will be a tax deduction. Answer: First a toothache and now you have a financial ache as well. Hope your root canal goes well, I have been putting one off for some time, I guess once the tooth starts hurting I will be forced to do something about it. Nevertheless, your question is a good one and a question we get routinely. 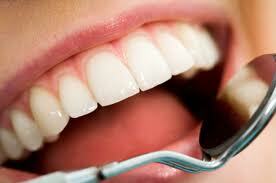 Dental expenses fall under the "medical" expense category and they ARE a tax deduction with some limitations. First of all, medical/dental expenses are a Schedule A itemized deduction so you will have to itemize in order to take advantage of these expenses. You should also be aware that their is a 7.5% limitation based on your Adjusted Gross Income, so you cannot deduct these medical expenses until they exceed 7.5% of your AGI. On of the strategies which we suggest to our clients if they know they will need major medical/dental treatments is to load all of these into a particular year if possible, so they will reach the limitation without effort. This works were well for elective procedures, but of course that is on a case-by-case basis. Good luck with the dental work! Ralph V. Estep, Jr., of Saggio Accounting+PLUS works to build life-long relationships with his clients. Call Ralph today at (302) 659-6560 or visit the website at www.askralph.com.